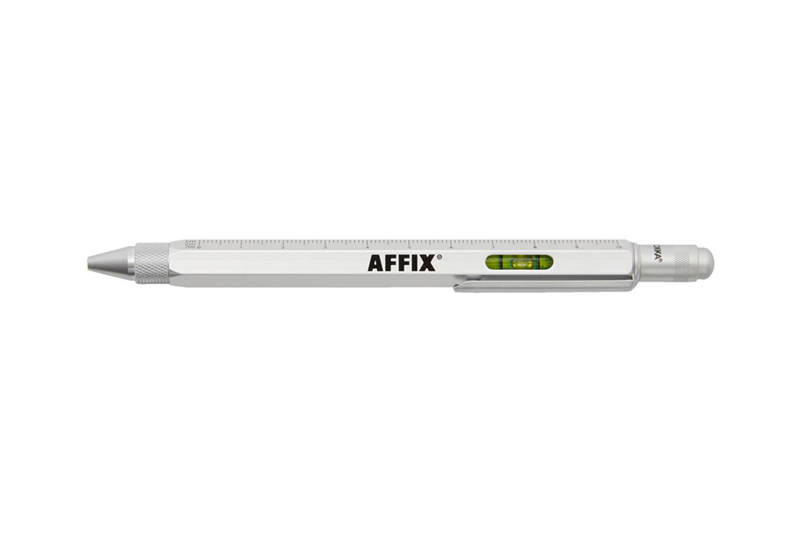 Affix has just dropped an Architectural Multi-Tool Ballpoint Pen with Troika. Based on Troika’s original model, the Affix collaboration adds two new colorways into the mix: a clean silver and bright orange. Perfect for the modern day office-faring handyman, the pen itself is perfectly weighted with a six-sided body which provides for a very comfortable grip. The body itself is made from a hardy and durable brass marked with an architectural ruler in both centimeters and inches. Also, one of the six sides of the body features an open window that houses a green spirit level. The end cap serves as a stylus tip, allowing the pen to be used on touchscreens and tablets. Under the cap, a concealed mini screwdriver, with both a flat-head and Phillips head option. The pen itself is a twist-action ballpoint, with a surgical grip to enhance ease of use. Both colorways of the Affix x Troika Architectural Multi-Tool Ballpoint Pen are now available over on SSENSE, retailing at $90 USD. If you’re looking for a multi-tool for everyday carry, be sure to also check out the new limited edition Victorinox “Champagne Gold” Alox collection. The latest from the avant-garde pop star. Adding to the brand’s worldwide Chapter network. Featuring the Red Hot Chili Peppers and a 43-year-old dancer. The evolution of Air Max Day.